Members of the Finance Committee are responsible for the management of the congregation’s funds. 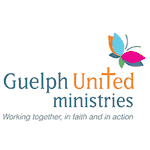 We strive to conduct business according to the United Church of Canada’s financial guidelines and the Canada Revenue Agency’s rules and regulations for charitable organizations. We are not fundraisers, but rather overseers of the funds raised. At Harcourt, committees are encouraged to develop a “proactive budget” that helps us get to where we want to go. The proactive budget connects every dollar spent to the church’s mission, purpose, and vision and asks members to consider: “What should we be doing?” rather than, “What can we do?” Each fall, Harcourt committees submit budget proposals for the upcoming year to the Finance Committee for review, then submission to Council and finally approval at the Annual Congregational Meeting.